The ever-changing rules about inclusivity strike again. Last week, two London student groups — one at King’s College and the other at Goldsmiths, University of London — vowed to start using “womxn” in replace of “women” in communications. The move is meant to promote inclusivity, even if using the “word” in official posts looks ridiculous. 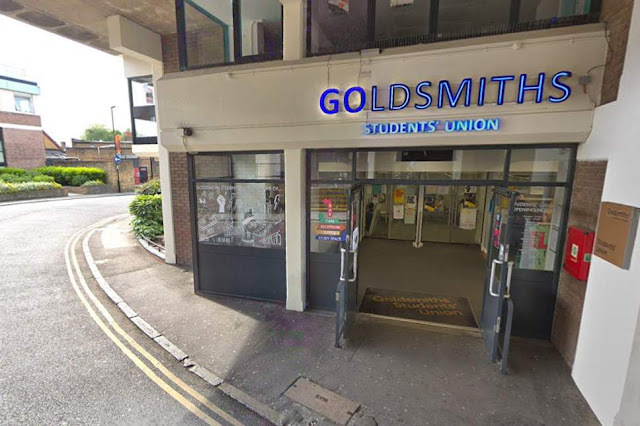 For example, the Goldsmiths Students’ Union published a Facebook post on November 20 referring to two school sporting events. “Why not give our Womxn’s Basketball session or Adidas Womxn’s Fun Run a go later on today?” the post asked, according to the Evening Standard. “Womxn’s yoga” has also been promoted, the Standard wrote. Okay, got it? “Women” is not inclusive at all. “Womyn,” the spelling adopted by 1970s feminists, is not inclusive at all. But “Womxn?” That’s inclusive enough. A month before the two London schools made the change, the Mirror reported that “womxn” is actually a racist term. So, “women” was bad because it meant “of man” and therefore removed female independence or something. “Womyn” was bad because some people decided it only referred to white women who identify as women because they were born women. Naturally, this made up definition excluded everyone else. “Womxn” was supposed to fix that, but now it’s causing problems because it is essentially “othering” women of color and men who identify as women. The Mirror’s story came after a museum and a feminist organization sponsored by H&M used the new word in their advertising. The H&M-backed ad was especially nauseating, as it included the word “womxn” 15 times in three paragraphs. (Warning: Your eyes may bleed from reading). “Her Stories is launching a new campaign to raise essential funds for charities dedicated to womxn seeking asylum and refuge in the U.K. Spelling women differently to emphasise the inclusion of trans women, people of colour, self-identifying genderqueer and non-binary people, the organization has launched the first womxn-only art auction; for womxn, by womxn,” one paragraph read. The controversy was first noticed by reporter Tim Pool on Twitter. This is why jumping on the latest social justice bandwagon is so dangerous — it might already have been deemed problematic by the time you join.